Olivier Messiaen considered himself as much an ornithologist as a composer, organist and pianist. Inspired in large part by his study of birdsong and his strong catholic faith, his output counts among the most fascinating of the twentieth century. From the age of 11, Messiaen attended the Paris Conservatoire where, a few years later, he was awarded various first prizes (including counterpoint and fugue, piano accompaniment, organ and improvisation, history of music, and composition). A student of Charles-Marie Widor, Paul Dukas and Marcel Dupré, he became Organist at the Église de la Sainte-Trinité in 1931, a position he held until his death in 1992. In the 1930s, he taught at the Ecole Normale de Musique de Paris and at the Schola Cantorum. There, he met André Jolivet, Daniel-Lesur and Yves Baudrier with whom he formed the famous Jeune France movement in 1936. In 1941, after a year imprisoned as a POW in Stalag VIII-A, he returned to the Conservatoire as professor of harmony and then professor of composition in 1966. His students included Pierre Boulez, George Benjamin, and Karlheinz Stockhausen. A devout Catholic, much of his output was influenced by his faith, as many works testify (such as La Transfiguration de Notre Seigneur Jésus Christ, l’Ascension, Le Banquet Céleste, Méditations sur le Mystère de la Sainte-Trinité and even his only opera Saint François d’Assise). 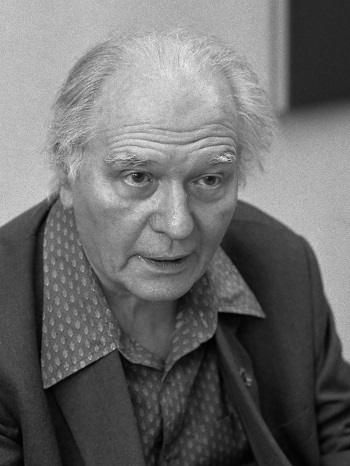 Messiaen received numerous accolades throughout his career. He was elected Membre de L’Institut de France in 1967, he was awarded the Calouste Gulbenkian Prize in 1969, the Erasmus Prize in 1971, and Ernst von Siemens Music Prize in 1975. He also won the Wolf Prize in Arts in 1983, The Kyoto Prize in Arts and Philosophy in 1985, and the International Paul VI Prize in 1988, all testimony to, and recognition of, his having created some of the greatest French music of the era.